Remote radio heads (RRHs) have become one of the most important subsystems of today’s new distributed base stations. The remote radio head contains the base station’s RF circuitry plus analog-to-digital/digital-to-analog converters and up/down converters. RRHs also have operation and management processing capabilities and a standardized optical interface to connect to the rest of the base station. Modern interfaces standards for RRH interconnect are CPRI and OBSAI which enable interoperability between hardware items and faster time-to-market for complete solutions. This will be increasingly true as LTE networks are deployed. Remote radio heads make MIMO operation easier; they increase a base station’s efficiency and facilitate easier physical location for gap coverage problems. RRHs will use the latest RF component technology including GaN RF power devices and envelope tracking technology within the RRH RFPA. Fourth-generation (4G) and beyond infrastructure deployments will include the implementation of Fiber to the Antenna (FTTA) architecture. FTTA architecture has enabled lower power requirements, distributed antenna sites, and a reduced base station footprint than conventional tower sites. The use of FTTA will promote the separation of power and signal components from the base station and their relocation to the top of the tower mast in a Remote Radio Head (RRH). Using Wireless (Microwave, Millimeter Wave, MMW, Free Space Optics, FSO) links instead of fibre allows the Remote Radio Head (RRH) to be connected without need for fibre optics. By avoiding the needs for digging, trenches, leased circuits from telcos, dark fibre or way-leaves for disrupting busy city streets, 4G/LTE networks can be realised very quickly with installation taking hours rather than days, weeks or months. 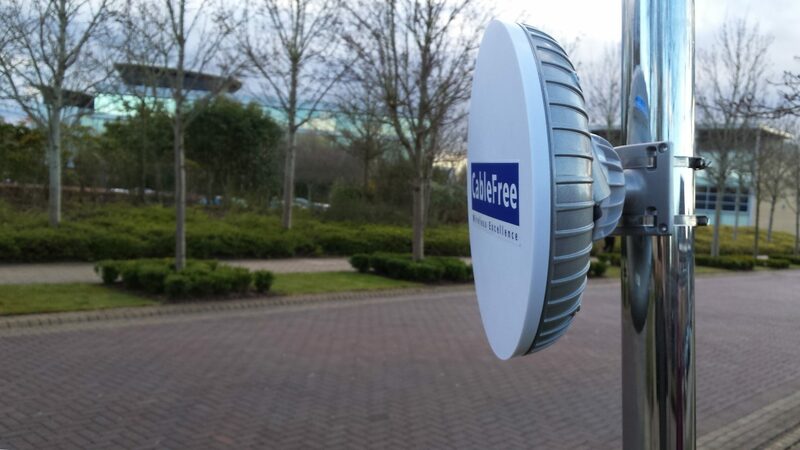 WTTA is being pioneered by vendors such as Wireless Excellence with the CableFree MMW and FSO product lines. The remote radio head (RRH) contains the base station’s RF circuitry plus analog-to-digital or digital-to-analog converters and up/down converters. In Receiver section of RRH, it receives the desired band of signal from antenna and amplify it. And convert RF signal back to digital signal in the receiver chain.